Bluegrass musician, former journalist and editor, and now PhD in English, Mark Brumfeld has arrived at his thirties with significant debt and no steady prospects. His girlfriend Cassie�a punk bassist in an all-female band, who fled her Midwestern childhood for a new identity�finds work at a �new media� company. When Cassie refuses his marriage proposal, Mark leaves New York and returns to the basement of his childhood home in the Baltimore suburbs. Desperate and humiliated, Mark begins to post a series of online video monologues that critique Baby Boomers and their powerful hold on the job market. But as his videos go viral, and while Cassie starts to build her career, Mark loses control of what he began�with consequences that ensnare them in a matter of national security. 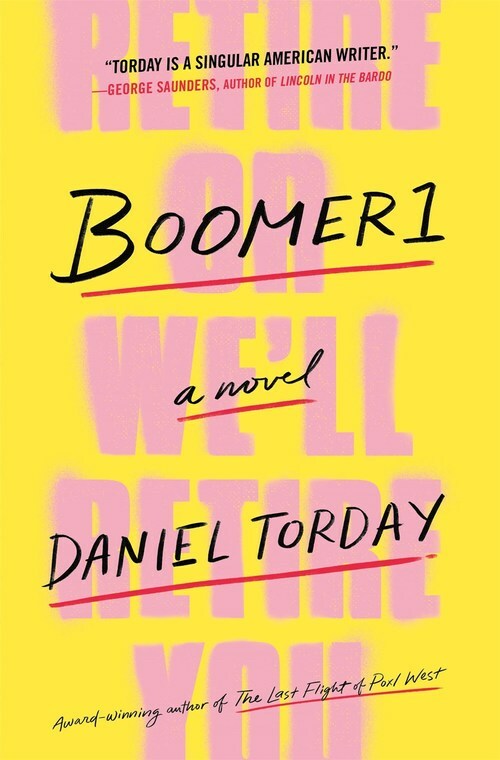 Told through the perspectives of Mark, Cassie, and Mark�s mother, Julia, a child of the '60s whose life is more conventional than she ever imagined, Boomer1 is timely, suspenseful, and in every line alert to the siren song of endless opportunity that beckons and beguiles all of us.